Acne is a condition that affects your full face, not just individual breakouts. Therefore, treating your entire face is important. During my teen years, I had little to no acne which allowed me not to go through that awkward embarrassing stage. Scored one in the books!? Not so fast, had I known adult acne would come and haunt me (literally), I would have wished for teen age acne, have it cleared up before age 20 and be a hopeful clear skin adult! Because that wasn't the case, I have been dealing with acne for the past few years. It has gotten better over time and now I'm dealing with mild acne, almost reaching to the point of clear skin! I found a skin care routine that works and with the additional help from Neutrogena Light Therapy Acne Mask, I think I'll have clear skin any day now. 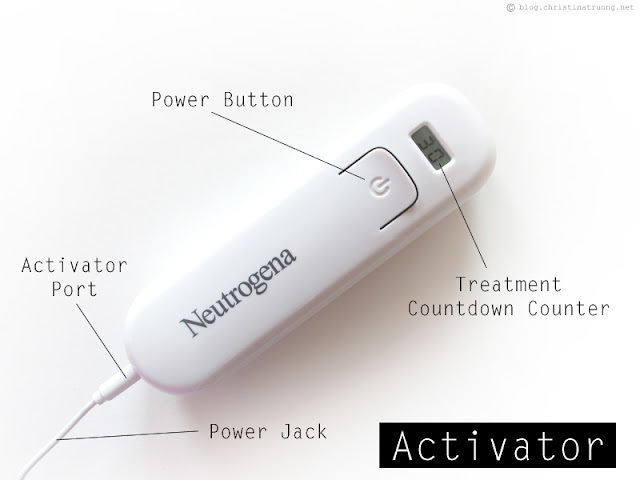 With dermatologist in-office technology, Neutrogena Light Therapy Acne Mask is a revolution in acne treatment. An innovative LED device that treats the face in just one step, sending therapeutic red and blue wavelengths into the skin at the speed of light. Free of chemicals and UV light, this face mask harnesses the power of clinically proven technology to clear acne and allow skin to heal itself. 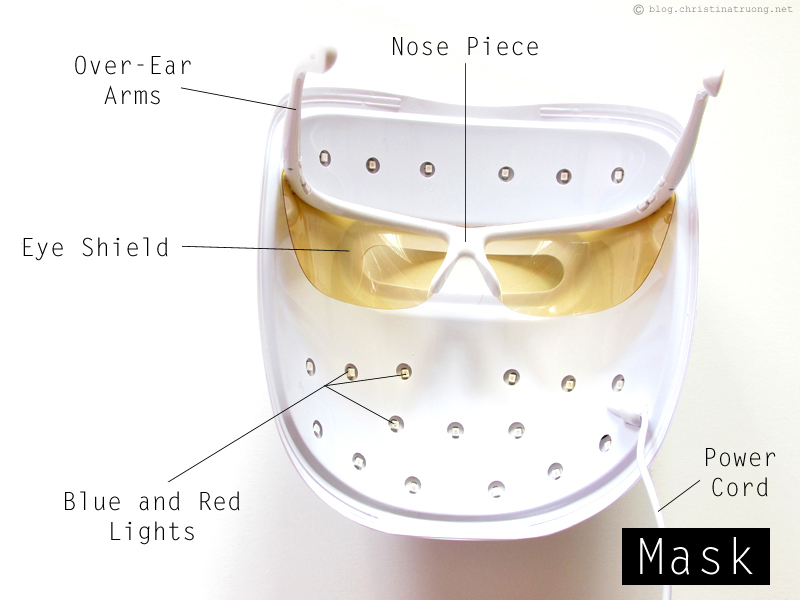 The mask’s therapeutic powers are the result of biological mechanisms triggered by red and blue light - and only light. What does this mean? It’s a new way to fight acne while being gentle to the skin. Use it once daily after cleansing to treat mild to moderate acne as part of your beauty routine. There are 21 LED lights (12 Blue LED bulbs and 9 Red LED bulbs) distributed across the unique facial curve of the mask, to reduce breakouts in an effective and gentle way. The Blue Light gives off light at a wavelength that kills the Propionibacterium acnes (P.acnes) bacteria linked to breakouts. P.acnes bacteria (one of the main causes of acne) generates molecules called porphyrins that are sensitive to light. When the wavelength of blue light emitted by the mask, they product free radicals which damage their own cell membranes. Inflammation is another key element of acne and is the root cause of acne and leads to redness and swelling. The Red Light works to disrupt this vicious cycle by reducing inflammation, and has been shown in vitro to reduce hyperkeratinization - a pore clogging factor that contributes to acne. The Activator has 30 sessions. The small LCD screen indicates the number of remaining session. The session will start once the power button is pushed for one second; the mask turns off automatically. Once the counter reaches 0, disconnect the Mask from the Activator, keep the Mask, recycle the Activator with Stericycle and replace it with a new Activator for more treatment sessions. 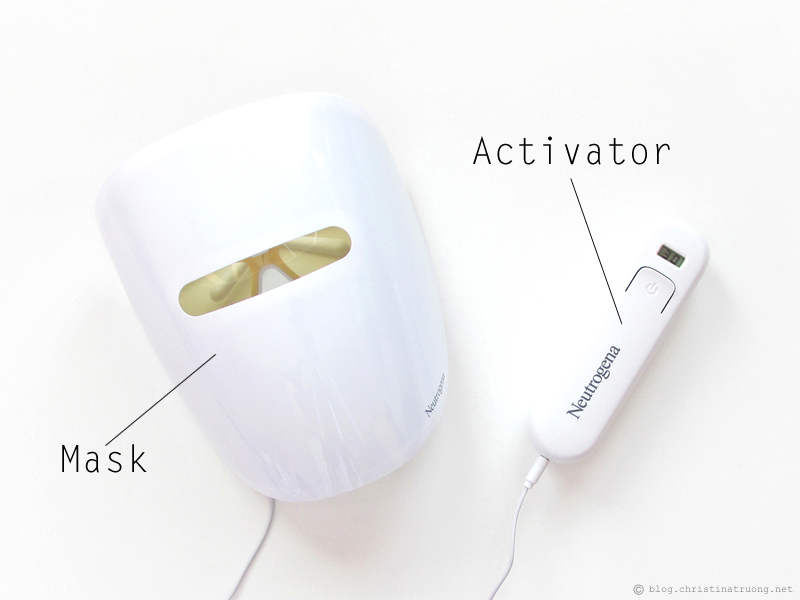 1 - Connect the Light Therapy Acne Mask to the Activator. 2 - Wash and dry your face to remove makeup and daily impurities. 3 - Next, slip on the mask like a pair of glasses, press and hold the power button on the Activator to turn it on. 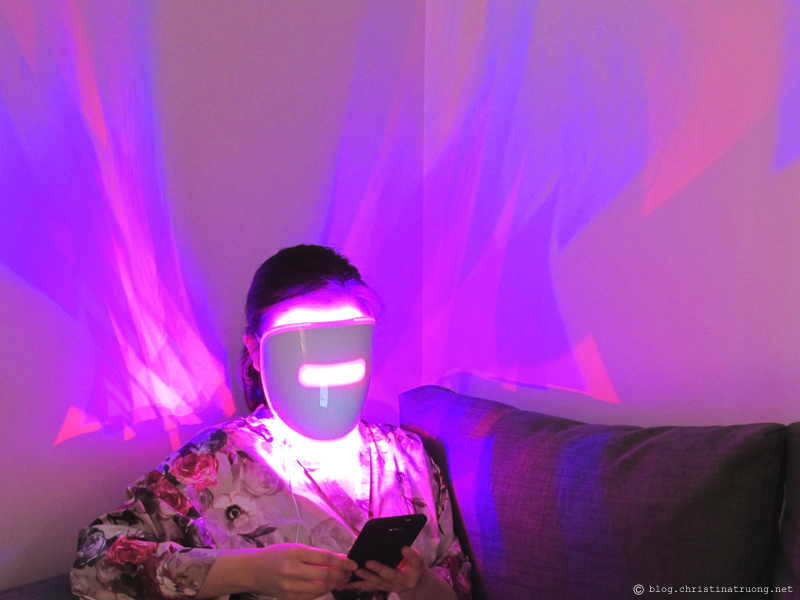 4 - Relax for 10 minutes while the skin is bathed in red and blue light, the mask will automatically turn off. After just two weeks of use, I noticed my acne reduced in size and slowly left the scene of my skin, and no new acne appeared. With continue use, I'm hopeful that my skin will be cleared soon enough. 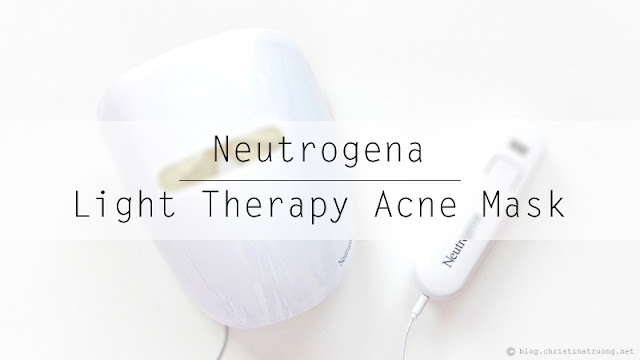 I definitely recommend the Neutrogena Light Therapy Acne Mask to anyone who has mild to moderate acne. What are your thoughts on the Neutrogena Light Therapy Acne Mask? Would you give it a try? Have you tried other home acne devices? Disclaimer: Products received under this post were sent for review from Neutrogena. Views expressed are honest and of my own. Glad to hear it's working for you, too! I love my mask!! Wow what an interesting idea. I love that is kind of natural the way it kills the bacteria. Also it doesn't seem crazy priced. I man $50 and then $20 for activator refills is really reasonable for something like this. Thanks for the review, I am going to look more into this for my hubby's acne. I completely agree that it's reasonably priced. Especially compared to going to a clinic and getting similar treatments. Sounds and looks so cool - love seeing new goodies in skincare like this!